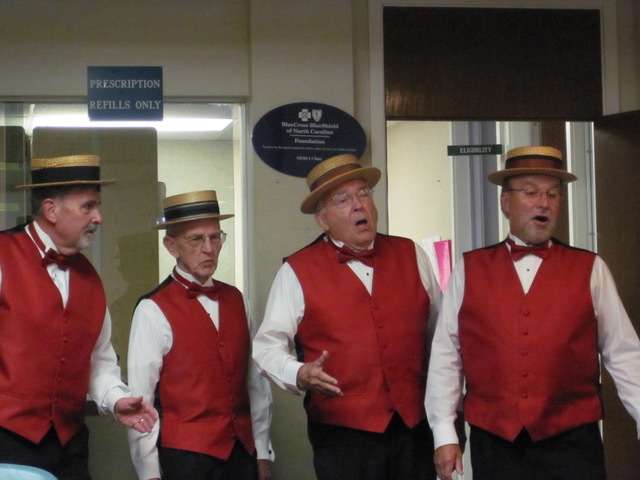 Expressing the Community’s thanks, The Southern Gentlemen Barbershop Chorus presented a check for $1000.00 to a meeting of MERCI Clinic’s Board of Directors. MERCI’s Board President Cindy Burrows and Executive Director Beth Cooper accepted the check from Barbershoppers Randy Millar, Bill Rust, Dave Parker and John Daly. 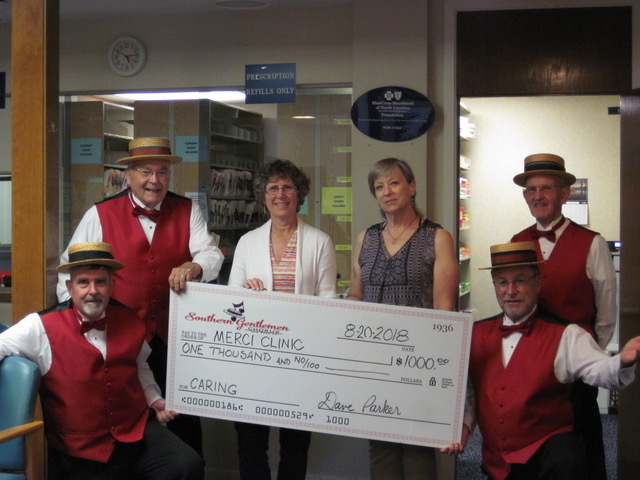 MERCI Clinic is a nonprofit community clinic, staffed primarily by volunteers, which provides free health care services for adults of Craven, Pamlico and Jones Counties who are of limited income and without medical or dental insurance.